Did you know that users who are retargeted to through advertisement are 70% more likely to convert into a customer? On the 12th October, Crowdfunding Uncut released the 45-minute podcast that I was a part of with Kierstyn. 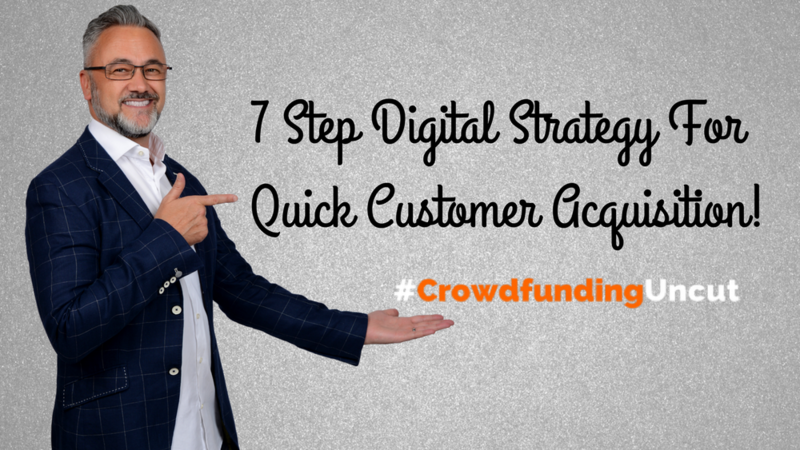 In this 45-minute podcast, I take you through my 7-step Digital Strategy for quick customer acquisition. Without giving too much away, I share my favourite strategies around bringing potential customers into a marketing funnel, and how I use my professional speaking experience to build partnerships. I also share with the Crowdfunding Uncut audience my step-by-step process to sharing not just MY content online, but content written by other influencers online to help build my audience, and engage online. They are a company that work with you from the onset of your entrepreneurial journey and give your business the foundation it needs to become a 7-figure company. They say that 95% of your campaign success is the result of the preparation, validation and audience building that goes into your launch and I have to agree with this. Crowdfunding Uncut offer two different ways of working. The first is on a 1:1 basis, and the second is through a “done-for-you” approach. Having a digital strategy is so important because without this, generating brand awareness, leads and most importantly; acquiring customers can be extremely tough, especially for a small business looking to grow online. I don’t just talk about the importance of a digital strategy. It is so important to understand the “story” behind getting to the point I got to, and this is something I want you, as the listener, to understand. My journey is something I talk about on a regular basis, but this podcast is extremely unique as Kierstyn was asking me questions that I have never answered before, and because of this, I think you might get an even better understanding around the difficulties I faced as a young entrepreneur. If you would like to listen to this podcast, you can do so here.